"All the internet users of the whole world are being concerned about the fact that the internet services can be interrupted in upcoming days for almost 48 hours globally. This is being found on the internet vastly that internet will be stopped for 2 days and no one will be spared. Note this can be good for some and also a disaster for the others, depending on their needs of the internet." Well, this news is being spread by many social media platforms and also by a number of websites on the internet from last 24-48 hours. This news is not exactly true, but just a rumour which is spread by passing one to another. But this can happen that your internet service gets interrupted for several times. But why? Let's find out. "The Internet Corporation of Assigned Names and Numbers (ICANN), which is responsible for maintaining the registry of domain names and IP addresses, will be changing the cryptographic key that helps protect the Domain Name System (DNS) or the internet's address book"
"To further clarify, some internet users might be affected if their network operators or Internet Service Providers (ISPs) have not prepared for this change. However, this impact can be avoided by enabling the appropriate system security extensions,"
Which means that the ISPs will be responsible if you can't use the internet in the said time. If they are not prepared for the event only then the users of that particular ISP will be affected. So the news of internet stopping globally was not that true. But yes, some people might get some issues as stated by ICANN. They means business, corporates, bill payment section can be affected. Some people might as well get some relief as the internet shut down may cause interruption to the work and the employees will be happy. This depends and varies man to man. But we all have to face this for better and secure future. One thing to be noticed that the internet can never be shut down globally if not done intentionally as this doesn't depend on any one particular machine or network. As this is a network of many networks, this is technically not possible that each and every server goes down or gets disconnected. Maybe that happen for one or two servers but not all. You may face some difficulties to connect with a particular website but not each and every. And this rumour is totally false. 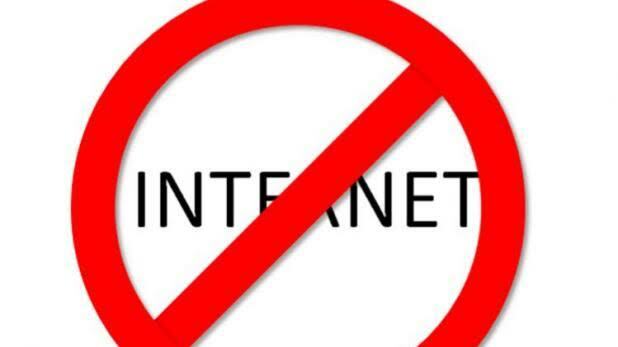 Global internet shut down is never going to happen.